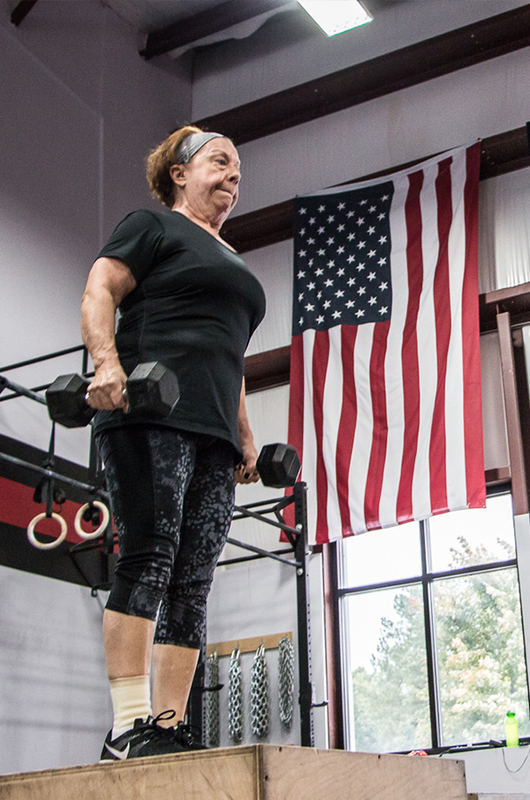 I have been doing heavy weight – intense workouts at gyms since I turned 50. That’s just about 20 years. I have always had personal trainers (coaches). When I met my last coach in Maryland 6 years ago, he taught me the kettlebell side of CrossFit. Loved my “military” training; lots of pushups, all things kettlebell and lots of deadlifts (not so much of the OLY lifts). But in all those years it was a one-to-one relationship. My feelings about the exercises and dedication to the program were mostly dependent on the value I perceived from the coach I had. Some more, some less. CrossFit was definitely where I belonged. Intense training, great feelings of accomplishment, loved the endorphins – I still do. No matter how I feel when I walk in the door, about 15 minutes into it I’m a whole lot better. 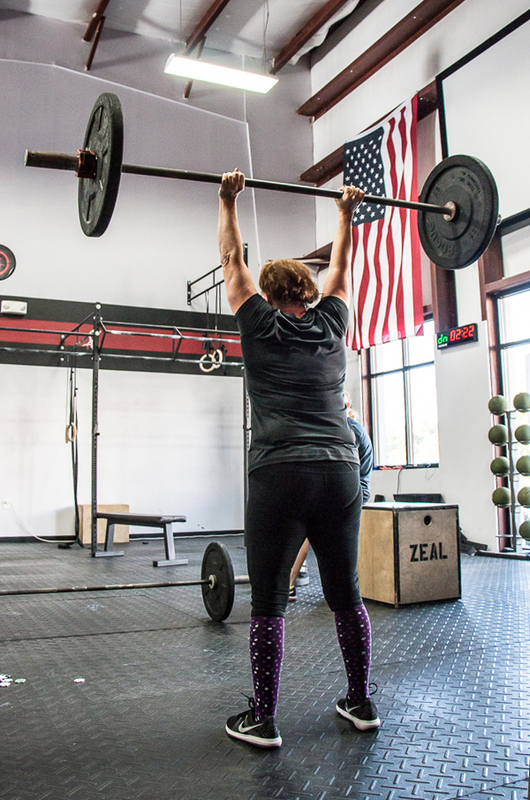 But I did not get the full benefit of an excellent CrossFit gym until I came to CrossFit Zeal. I have told Michael Kelley he is the best coach I have ever had, and I’ve had about 8 of them, from Charlotte, Columbia S.C. and Maryland. Zeal programming is excellent – providing a lot of strength training in addition to PR attempts. At a time in my life where I expect to be losing strength – I am certainly maintaining and getting better in a lot of areas. Zeal OLY training is also fantastic. 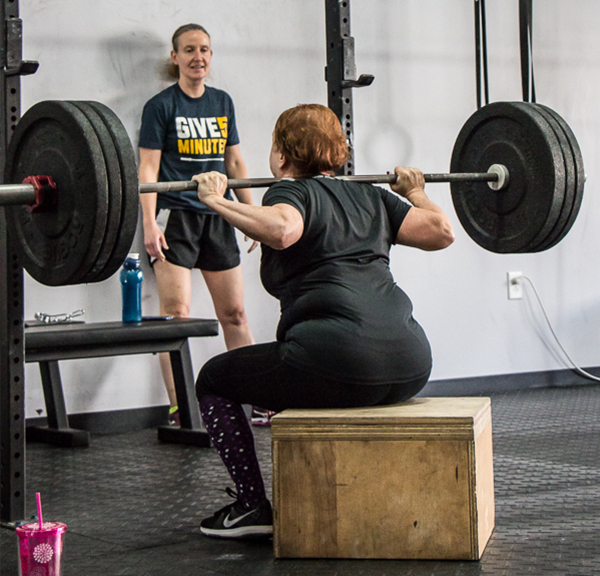 When I started a little over a year ago, I could do almost none of the cleans or snatches requiring squats, but am getting much better at them. Still working on more weight on those. The other thing about Zeal is the welcoming attitude of all the members. I love going to the 8:30 class and to the Saturday class. Those folks are my “buddies,” even tho all of them are young enough to be my kids or grandkids. And I love going to the competitions, seeing the great work we do in them. Screamed myself hoarse the other weekend at the Invitational. So why do I CrossFit? I guess because I think it is just a “trip.” And I will keep doing it as long as I’m able. My father-in-law went to the gym just about everyday till he was almost 89. Might be a while, folks. “Cindy”, 5 pull-ups (banded), 10 push-ups, 15 squats.